When you’re seated at our table, you’re networked with the world. Our network has coverage in all 50 states, Canada and Europe. Let us do the work and handle the details, and you’ll know that you’re getting the best reporters and trial support companies around the country. 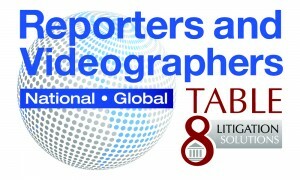 Table 8 Litigation Solutions is a worldwide network of professional court reporters, videographers and trial support companies independently owned with high standards that will treat you as if you were one of their own clients. No more numerous calls and the hassle of scheduling. Just one phone call to Table 8 Litigation Solutions will save your office time and money locating an experienced court reporter, videographer and conference room or scheduling a videoconference in any city, any day, any time. Every firm in the Table 8 network is capable and stands ready to handle any case, including your most complex, delivering your product to you in the latest electronic formats that you require for your high-tech working environment!